Caledon East was established as a village in 1957. 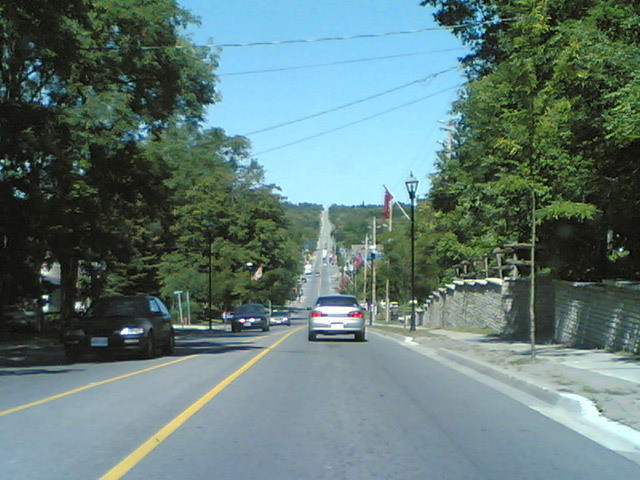 It is located in the Town of Caledon, in the Regional Municipality of Peel, nestled among the picturesque Caledon hills. It is situated on Airport Road about 20 kms. north of the Greater Toronto Area, 4 kms. north of King Sideroad. It has a population of approximately 5,000. Cranston Drive is named after the Cranston family, who settled in Caledon East in the 1850s. They were active in the community, holding the roles of hotelkeeper, general store merchant, and postmaster, among others. They were also involved in the running of the sawmill, foundry, and brickyard. The first settlers arrived in the village in the early 1820s. In its ‘heyday’, Caledon East boasted three hotels, several general stores, livery stables, harness makers, churches, an Orange Lodge, a creamery and other industries typical of an Ontario village. A thriving railway was built through the village in 1877, on which abandoned lands the Caledon Trail way now meanders. Caledon East is home to the first Pavilion built on the Trans Canada Trail. It has much to offer in the way of beautiful scenery and is a pleasant place to live, still embodying a great deal of the pioneer spirit and the feeling of Ontario country-living, a short distance from the sprawling metropolis of Toronto.